This is the blog for Scheller's Fitness and Cycling. 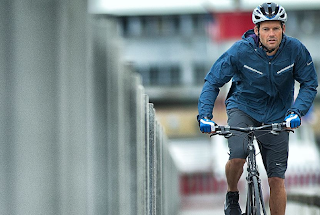 Find posts about events in the community, cycling products, fitness products and other interesting and useful bike and fitness information. Newer! Better! Faster! Lighter! Stiffer! Better Handling! Just about every bike review on the internet these days make most if not all of these claims. It is a rare day that the bike is actually significantly lighter or better or faster or stiffer. "Completely redesigned" has come to mean a 1/4" difference in head tube tapering, a drivetrain being upgraded to 11 speed, or the added availability of a mechanical drivetrain. This time — it's different. 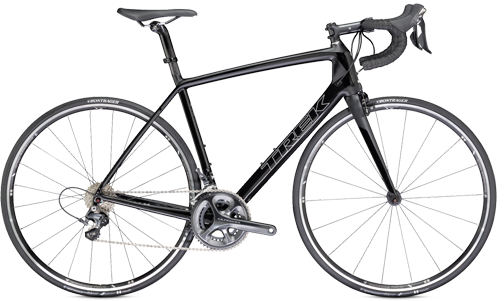 Trek has come into their own since the strong influence of Lance Armstrong is no longer a factor. The new Madone 5.2 (not exactly 2014 since Trek will not be announcing yearly models on any specific date) is actually redesigned. "... what a different machine it is. Geometry remains the same, Trek weren't bold enough to mess with the measurements of the original, and we're glad they didn't, because the stable character of the old bike is what made it so popular. The biggest difference comes from the overall increase in stiffness, especially at the front. It's also lighter, integrating the bottom bracket, headset, fork and seatmast and using 40% fewer joints helps shed valuable grams (Trek claims it's 250g lighter)." Now in it's fourth year, the Madone takes a new form than ever before. 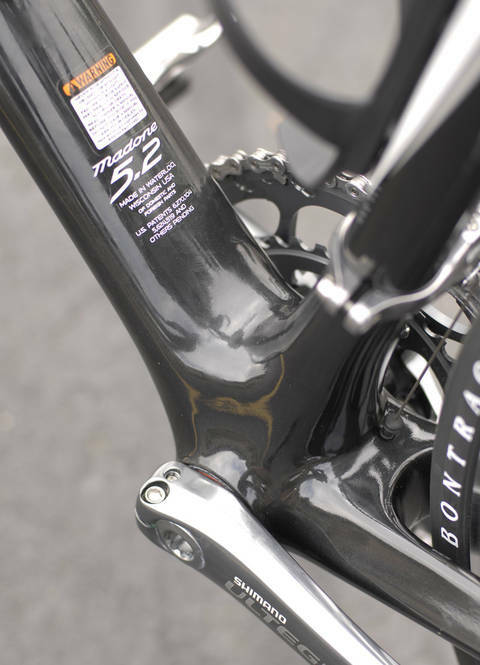 The top-tube now slopes in a more typical way in contrast to the forward sloping top-tube that had as many fans as it did detractors. Of course, the frame is still made of their OCLV carbon, as does the bonded, lugged construction with fewer joints, meaning less weight. They've also renamed the range of OCLV carbon from OCLV 55, 110, 120 GSM to the simpler OLCV red (most expensive, high modulus carbon), OLCV Black (not made in the USA), and OLCV White which uses standard-modulus carbon. Another way Trek has saved weight is by integrating the bottom bracket and getting rid of the standard BB shell completely! The BB is 90mm wide and doesn't have any external bearing cups - now the integrated bearings sit directly against the carbon shell. One of the most noticeable changes from the old Madone is the increase in front-end stiffness. The contoured down-tube flows from the wide BB shell and curves into an oversized head-tube. 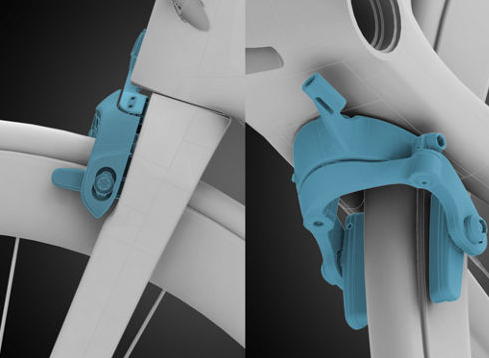 Like the bottom bracket shell, the design integrates bearings directly against and into the carbon frame. The Precision Fit Sockets (Trek's technical term) are moulded in at the same time as the tubes, which eliminates the need for secondary machining or the bonding of alloy inserts into the frame like the old Madone. The KVF aero legs on the front fork minimize drag, and increases lateral stiffness for ultra-precise handling. To top it off, the front and rear brakes are built directly into the fuselage to keep them hidden from the wind, reducing drag. Shave off a couple grams for losing the mounting plates and bolts too! 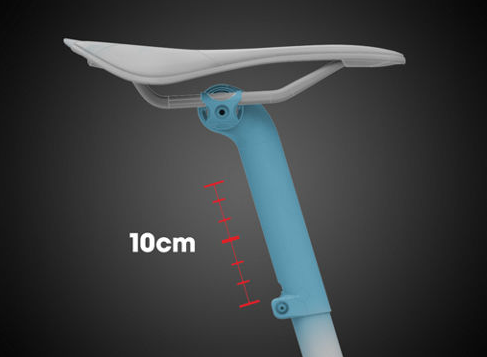 Another HUGE change is the move to a seatmast instead of a seatpost. It doesn't need cutting to size and a cap with the seat clamp sits atop the mast and can be adjusted for height. Not only does it allow designers to shed a bit of weight but it also does away with the need for a traditional round seat-tube. The Madone's seatmast has a slight curve to it and the design of the clamp moves the mast away from stress areas and also imparts a degree of flex for added comfort. "[The new Madone's] all-round stability and unshakable front encourages an aggressive style and dares you to challenge the bike's underlying stability. Simply put, the new Madone is lighter, stiffer, and faster,"
you can bet that it's true. This Bike Kicks !!! Heck of a ride stealth like and fast !! Too Many Options? Let Us Help.